He is one of the best off-road bike racers in the world and now Paul Whibley is hoping to create one of the best off-road racing competitions at home. The Pahiatua man recently returned to New Zealand after wining many titles in Europe and the US over the past 12 years. He immediately began to re-establish his position at the top of the sport here. Although the Yamaha rider tasted success he was not satisfied with some aspects of the sport and wants to take his involvement a step further, lifting the quality of competition and helping young Kiwi riders who want to follow in his tracks. So he is launching a parallel five-round NZXC series, starting next month. This series will amalgamate some of the sport’s most popular events into what he hopes will become a premier series. 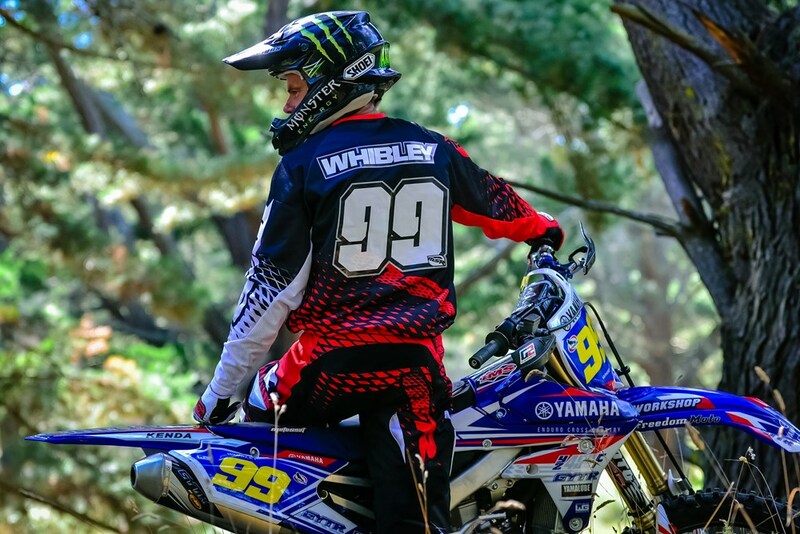 He makes no apologies for the fact that he is “cherrypicking” the best events from other series around the country, co-sanctioning his series with the Dirt Guide Series, the NZ GNCC, the Woodhill Two-Man, Central Cross-country Series and Yamaha Taikorea 500. “They will be fun and flowing tracks, professionally marked and well-run,” said Whibley. The best four out of five rounds will count with contestants discarding their worst score. “My intention was not to simply add more events to the calendar, but to use some that are already there and combine them into something different. I’ve chosen the best of the bunch and called it the NZXC series. “I’m looking at what younger guys need when they venture overseas. Some of the events in New Zealand are not really preparing them for what they’ll face. “For instance, we will run the annual stand-alone Yamaha Taikorea 500 earlier in the year to help avoid dust issues. Racing over farmland is not really the same thing as riders will hit when they get to America or Europe. Forestry courses more accurately reflect what they will strike,” said Whibley. “We need to run events that have courses laid out in a clover shape, looping the tracks out and back to a central location multiple times, rather than just send them off 40km into the wild blue yonder. It’s a safety issue, as much as anything, reducing the response time for medics to reach a fallen rider. Sponsored by the MotoSR bike suspension company, Dirt Rider Downunder magazine and BikesportNZ.com, the series kicks off at Tar Hill, near Tokoroa, on June 14, with the final round at Castlehill, near Pahiatua, on December 5. Whibley will compete in his series and, as a former international with impressive credentials, he will be one of the favourites, although he stresses: “The series is not for my benefit, it’s for others. “I may not ride all of the rounds because I’ll be too busy trying to organise things.